"I like classicism with a major dose of a twist," notes Jonathan Anderson in the latest issue of PORTER - which explains these Loewe pumps. 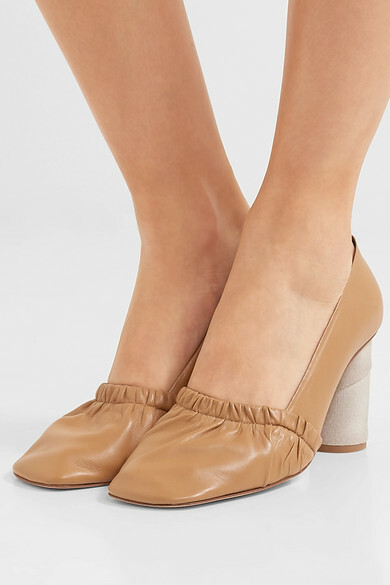 Designed in a timeless silhouette, this pair is expertly crafted from soft camel leather and has an elasticated square toe. The twist? 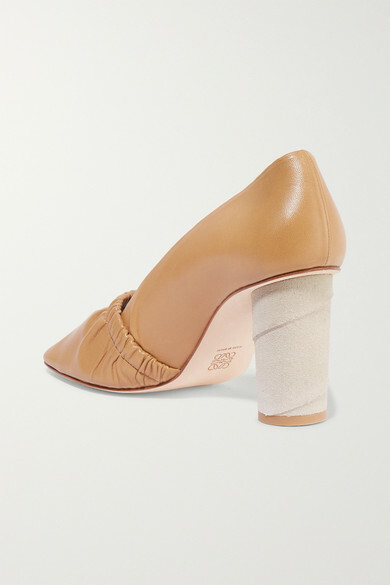 Well, being faced with an empty roll of toilet paper is a nightmare, but the 80mm block heel is wrapped in supple suede to give just that effect. Shown here with: Loewe Dress, Loewe Cape, Loewe Shoulder bag, 1064 Studio Earrings.